A couple of years ago I found myself hitting stagnation internally. I decided to close up my life in Malta and head out travelling with as few plans as possible. I got the change I needed as I met my partner who I travelled with for a couple months and the added inspiration along the way that I’d now like to share with all of ye through Retreats and Yoga Teacher Trainings in 2019. Bringing in the new year with a semi-private KriyaAsana 200 hr YTT in Gozo for the month of Jan & Feb. If that timing doesn’t work for you fear not as MBY will also be running her 200 hr YTT in Gozo May/June & October/November of 2019. We will dive deep into our energetic anatomy to release the baggage we’ve been carrying around for years helping us to be more intuitive when working with students and ourselves. If you’re ready to connect IN this is the way…. This coming September 19-21st MBY will be hosting a Four Day Fall Equinox Wellness Retreat at Blue Mountain in Ontario/Canada. Our accommodation will be at The Retreat House which is a charming place in spirit & decor. It’s tucked in the woods & built from reclaimed wood by one of the owners who is also one of our star hosts. We do hope you can join us as we indulge in beautiful views, fall colours, campfires, hiking trails in the forest, a massage therapist on site & plant based homemade meals served with love! Then it’s off to the Med to hit the heat again in Gozo, Malta is thee Island of Joy smack dab in the middle of the mediterranean sea. This will be our retreat destination from October 5 – 12th. If you haven’t experienced small island living from way back in the day then choose Gozo. It’s small, safe, quaint and the perfect spot for a yoga retreat. Gozo is an island in the Mediterranean that will take you back in time. It’s rich with blue waters, lovely beaches, fresh food, friendly locals and most importantly it’s incredibly peaceful & safe. My retreats started here 5 years ago and every retreater who has attended has always been blown away by the islands beauty & great weather. There’s plenty of hiking, diving, resting & pampering to enhance your retreat experience. Gozo has been a well kept secret so best to experience it before the word gets out! In February / 2020 (wow, we are hitting that year soon, feels so weird to see it written!) MBY & Wild Child Village will be collaborating to bring you a 200 hr KriyaAsana YTT in the heart of the jungle in Ecuador! 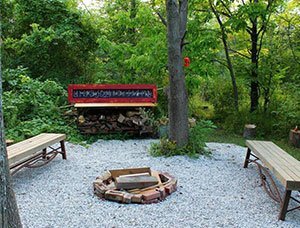 The retreat eco boutique house, Wild Child Village, is a conscious community grounded in permaculture, artistic expression, traditional and modern spiritual practises with a commitment to co-create new understandings of self & tribe. Wild Childs ethos is based on non-linear self organising systems – Nature. The intention is to resonate, revise, harmonise, help & heal peoples lives. 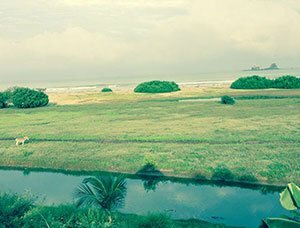 Ayampe is on the southwest coast aka, ‘Route of the Sun’ with the Pacific Ocean on the west and rain-forested mountains on the east. Most of the Ecuador beaches on the southern coast are very dry but Ayampe is in the middle of a micro-climate where the rainforest comes down to the ocean. This gives it a unique climate not found anywhere else on the southern Ecuador beach coast. This retreat will be full of fresh food, surf, plant ceremonies, hiking and lots of space & time. I love the practise of experiencing different ways of living and I hope you will join me in this experience of connection. Check out to check IN. I had such a wonderful experience at my retreat with Michelle last fall. 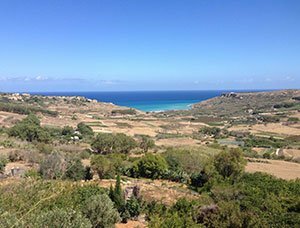 The accommodation on beautiful Gozo, the delicious food, the pace of the day, the company, and of course the excellent yoga classes all contributed to a most rejuvenating holiday. Michelle is an excellent teacher who gently guides and inspires her students to enhance their yoga practice at their own pace. I look forward to my next visit! Your class was very good for me. 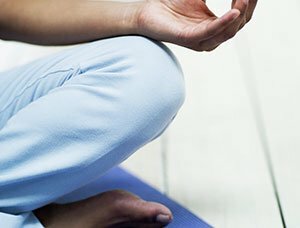 I am still new to Yoga and was in the process of finding out if it is for me. Your message resonated very well with me. This was the part, I was missing before. Thanks to you, I continued to discover the practise in Paris with a light heart. I often think back to the yoga retreat in Gozo last year in September. It was really special for me – the classes with you and the island with its soft energy. In case you will give some retreats again there, I would appreciate it quite a lot.. I have practiced yoga with Michelle for about 2,5 years. Her classes entered in my life as a whole Ocean, sometimes strong and ruff, sometimes calm and gentle. Wave after wave, I started to wash out old concepts, patterns, perceptions. And it wasn’t always easy. But there was something higher than stretch and flexibility that would make me return countless times into her classes… the connection and reborn of my inner self. “TheMaster appears when the student is ready”.